The Key West sun shines through the window, waking you up with warm rays for another beautiful day in Key West. You booked a stay in one of the historic Key West inns Key West FL at The Southernmost Inn and are ready for a day of adventure and fun. Explore the famed Duval Street in Key West for shopping, dining, and entertainment for a full day discovering the best of Duval Street. Though Key West is not known for its shopping scene, one of the best activities on Duval Street is taking a stroll and checking out the local shops. Stop in at Duval Village for a myriad of gifts, interesting local creations, and souvenirs to remember your trip. Have fun testing out a variety of hats at Lippy’s Hot Hats or find fantastic Key West fashion and make a statement with a new outfit and accessories at The Green Pineapple. Another shopping experience that Key West is known for is at The Original Key West Cigar Factory. Stop in and discover a line up of specialty cigars that are perfect for a special occasion or celebration. There are numerous shopping opportunities to get your retail therapy in and find that perfect souvenir for loved ones back home. Lunchtime on Duval Street is never disappointing. Whether you are looking for a casual dining hang out or a high-end eatery for a delicious gourmet meal, you can find it just down the street from historic Key West inns Key West FL like your accommodations at The Southernmost Inn. There is a reason our guests love our location so much. For breakfast, lunch, or dinner, you can find a delicious meal with a phenomenal beach view at The Southernmost Beach Cafe. Incredible seafood dishes, tasty drinks, and a stunning venue make this place perfect for any occasion. For a more casual lunch, stop at Caroline’s Cafe for a line-up of tasty meals and Abby the Rooster to greet you. Nine One Five Restaurant and Bar is perfect for those looking for an upscale dining experience and offers gourmet lunches as well as incredible dinners that will leave your taste buds singing. There are many other fresh seafood restaurants, culture-rich dining experiences, and of classic hubs like the colorful bar stools of Sunset Pier. 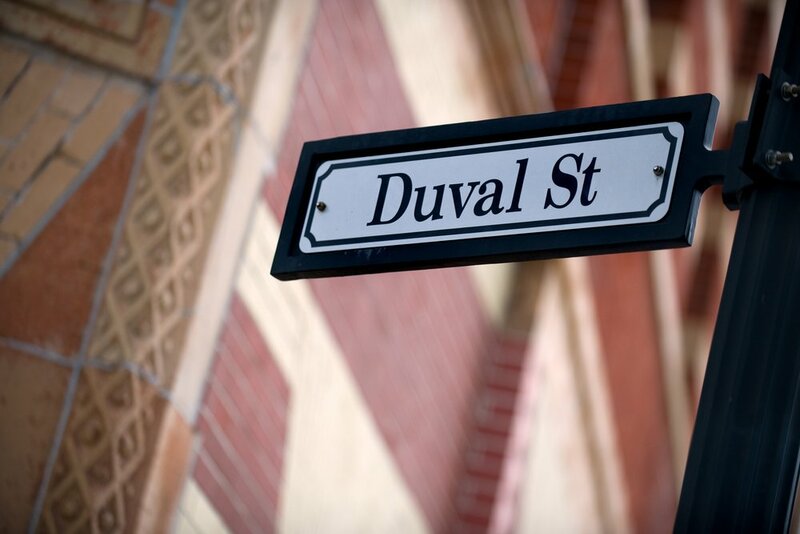 On your adventures down Duval Street, there are a few must-sees that you can not pass up along your way. The Ripley’s Believe it or Not Key West is a fantastic place to discover the odd and be amazed at several unbelievable exhibits for a fun and interactive outing. A visit to the Key West Aquarium is also an experience that allows you to meet our aquatic neighbors face to face and even get the chance to “shake hands” with a stingray or two. One other favorite must-see is the renowned Hemingway Home. This historic home of the late Ernest Hemingway is a beautiful staple of Key West that should definitely be on your Duval Street itinerary. The next time you stay with us in our historic Key West inns Key West FL, make sure you take a walk down Duval Street. It is only a short block from our beautiful Southernmost Inn and is the perfect place to spend a day casually exploring the ins and outs of life in Key West.